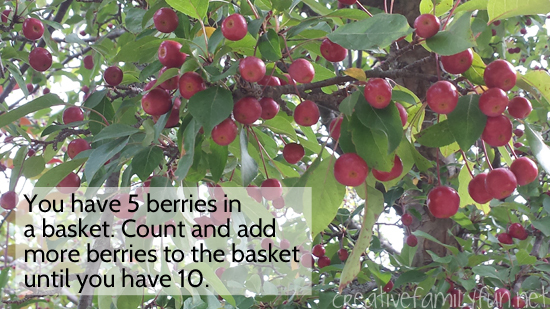 In my most recent Math Homework 101 post, I talked about the concept of counting on and how it sets the stage for addition and subtraction. 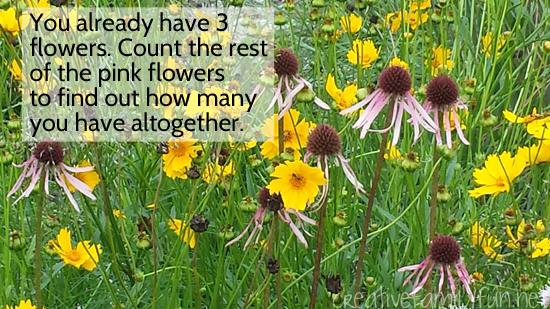 Since it’s such an important concept, I wanted to show you just how easy it is to practice counting on at home. Seriously friends, you can do this. We’re going to get outside, have a little fun in nature, and do a little sneaky math practice. 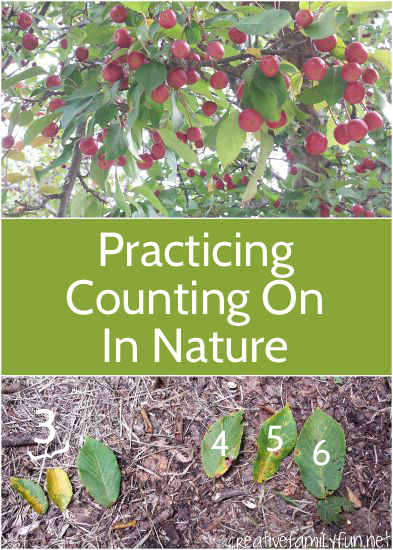 Here are some simple ways you can practice counting on in nature. All of our examples came from a nature walk we took recently. I had no special supplies and no concrete plan. I wanted to show you just how easy it is to practice counting on. You can take just 5 minutes a day for a bit of simple practice. Here are some of examples from our nature hike. There were leaves scattered across the path. 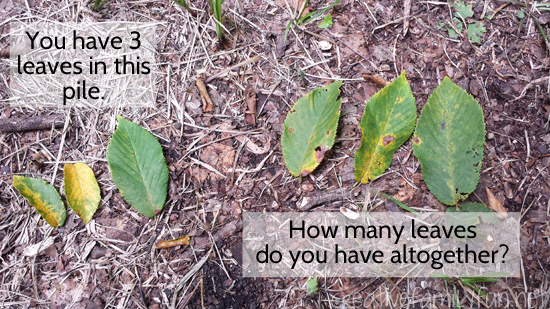 We started with a pile of 3 and continued counting on to find out how many leaves there were total. 3, 4, 5, 6. We found a tree full of berries. We imagined we had a basket with 5 berries in it, but we needed 10 berries. My girls used counting on to find out how many more we needed. 5, 6, 7, 8, 9, 10. We stopped by a butterfly garden. We pretended we already had 3 flowers and wanted to pick the rest of the pink flowers. (Just pretending, no actual picking involved.) 3, 4, 5, 6, 7, 8, 9, 10. It really is simple. You don’t need anything special to practice counting on at home. You can practice on a nature hike, in your backyard, or at the park. Practice on the walk home from school or while running errands. It’s easy and it’s fun! For more information about counting on, including a detailed explanation, please see Math Homework 101: Counting On.